1843 William Makepeace Thacheray traveled through Oughterard on his way to Clifden. He commented on the contrast between, “ The healthy looking people in the huge servant house hotels of the gentry and the cowed country people, shy, sly and silent”. Many peasants held their land under the evil conacre system that gave them the right to occupy the land but not the right of conveyance by will or lease. 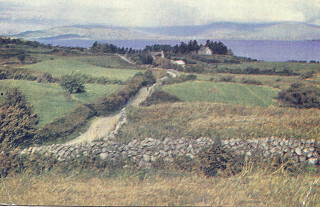 In the Oughterard area the people rented from a rood to two roods of land which neither their capital, nor their acquaintance with agricultural science enabled them to render productive. The potatoes that they planted and on which they lived were seldom in sufficient quantity to last during the entire year. An extra burden was also placed upon them when they were compelled to give their principal crops of oats and barley to the payment of their rents to the landlord and tithes to the Protestant Church. 1845-1848 During those years of devastation the people of New Village found themselves destitute and in great want. They petitioned the Viceroy Marcus Heytesbury. They informed him “that there were 300 families in their region a total of 1500 persons in all without food. 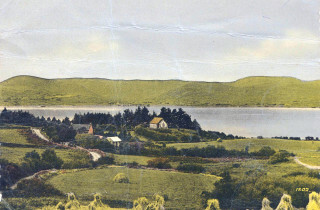 They were obliged to sell their animals and corn to pay their rent.” They recommended that relief works should be established immediately to relieve their suffering The relief works they had intended were the building of roads which would give access to Lough Corrib which would in turn allow business people to transport goods down the lake to Galway City. Bóthar na Míne was built giving access form Glann down the Tonwee Road to Oughterard. 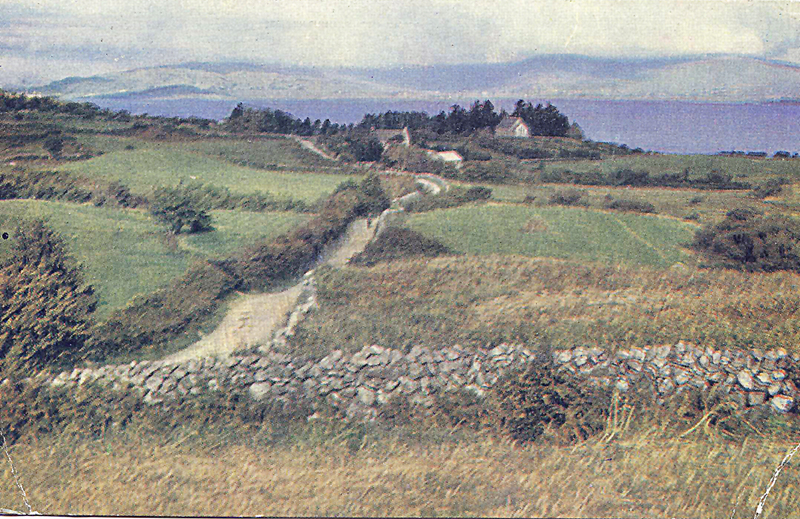 It was in a climate like this that the Irish Church Mission flourished in the Glann /Oughterard area. The missioners preyed on the physical weakness of the people and set up several Soup Kitchens and Soup Schools. You can easily understand why the people were enticed by the spiritual and temporal aid offered. Many converted to the protestant religion. The priests of Oughterard were now concerned about the plight of their parishioners who had come under the influence of Dallas and Rev. John O Callaghan, two extreme proselytizers. They wrote long letters to the “Galway Mercury” stating their case and begged the people of out lining areas for financial assistance to feed and cloth their flock. They implored their fellow priests to come and help them convert the people back to Catholicism again. Their fellow priests did not fail them. The Vicar General Rev B.S.Roche and Fr.Godfrey Mitchell came to Oughterard June 23rd 1850. They preached to the people making references in their sermon to the Old and New Testament proving to their congregation that they too had knowledge of the Bible. Gradually the people returned to the catholic faith. Archbishop John Mc Hale laid the foundation stone of Glann Church on the 4th June 1852. The ceremony took place in the presence of about three thousand people. The Annals of the Vincentian Fathers record that “at the conclusion of the ceremony their cheers re-echoed from the surrounding hills. The people resolved now to die with their children rather than accept the relief which was offered on the condition of sending their children to the school of the proselytizers”. The newly erected Church at Glann was used for sometime as a school room until the people built a slated roofed school at Gort na Seangán close to the church. Martin Quinn, 27years of age, a young graduate from Galway University was appointed as teacher. Christopher St. George of Tyrone who owned 15,777acres in the Connacht region gave both sites to the church authorities. A local landlord named Petrie also donated £50,000 towards the building of schools in the area. This new building replaced St Brigid’s Church. 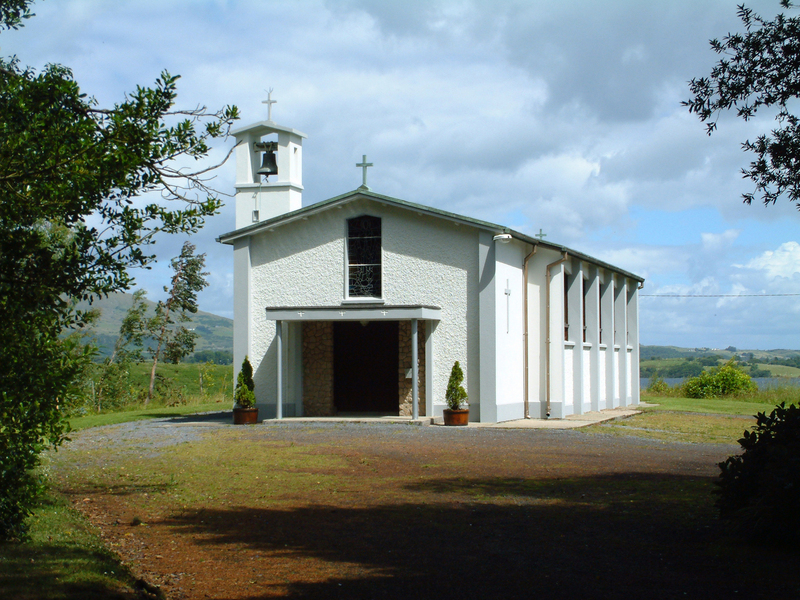 It was opened on the 25th of March 1960 and dedicated by Dr Michael Browne, Bishop of Galway on the 15th of August to Our Lady of the Valley. Due to the exposed site, the windows are on the leeward side. The roof is copper. In the rear of the church there is a stained glass window depicting Glann Valley with Our Lady in the foreground. The parish priest at the time of the building was Fr. Mc Cullagh and the architect was Simon J. Kelly. The builder was James Farragher of Tuam. The cost was 7,813 punt. We remember especially all those who administered and those who attended the various ceremonies in the church through the years and we pay special tribute to the people of Glann who take such great care of this magnificent building. Rath agus Sonas Dé ortha go léir.